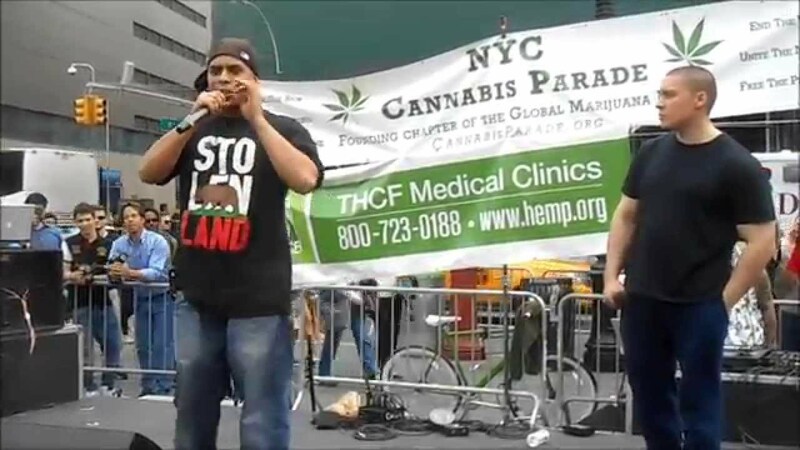 Law Enforcement Against Prohibition is leading the Cannabis Parade in NYC on this Saturday, May 2, reports Jack A. Cole of LEAP. “The first 60 people to signup to be part of the LEAP contingent for that parade will be given free LEAP T-shirts and badges,” Cole announced on Facebook Tuesday. According to Cole, there are supposed to be more than 40 organizations participating. At 11:30 a.m. the LEAP contingent will assemble for the parade at the Martinique Café, located on the east side of Broadway just north of 32nd Street (across from Greeley Square Park). Participants will pick up your shirts there. The parade starts at Broadway and 32nd Street and proceeds to 14th Street where there will be a rally at Union Square. “I will be the first speaker at that rally,” Cole said. “A dozen LEAP supporters will have clipboards where new members can signup by just listing their name, email, and zip code. We give everyone signing up a LEAP lapel badge.